If you'd like an applicant or reviewer to add their signature to certify their input on a form or review, you can require that during template setup. 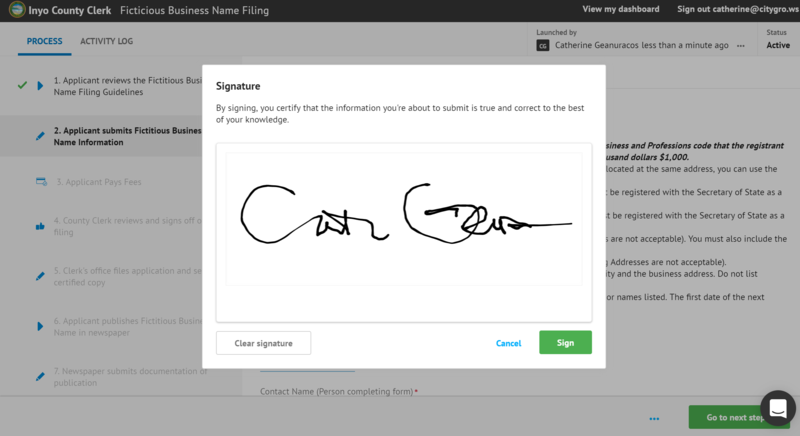 CityGrows currently offers two options for how admins can require a signature before an application can move forward. 2. Reviewer signatures on review steps - Sometimes in addition to applicant signatures, governments want their employees to sign off on an approval or permit. CityGrows offers the option to add signatures to any review step. Employees sign the same way as applicants - using their finger on a touchscreen or their mouse to add their signature to CityGrows.